Created by artist's Sinna One and Req. I don't know his name! Sorry! My attempt at life drawing. 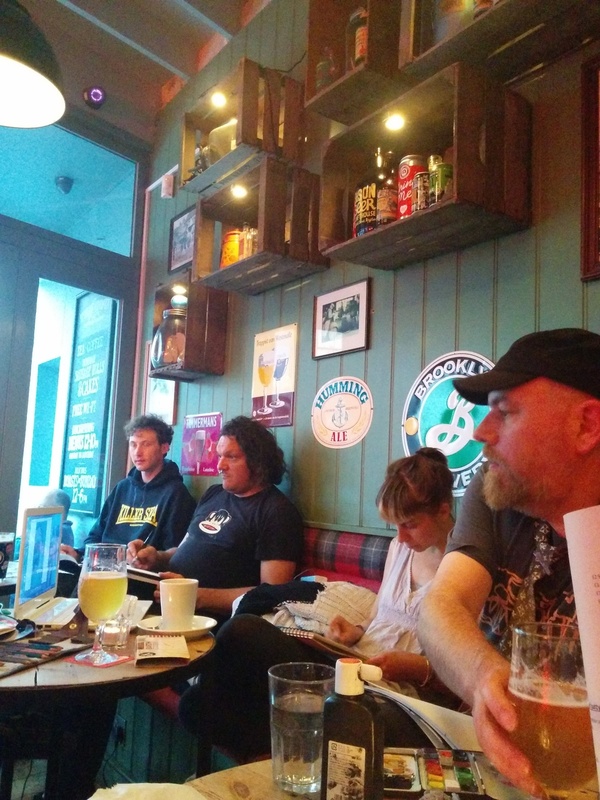 Started by Garry Smith and Req a couple of years ago, this little club meets every Tuesday at a different pub around Brighton. Here, one simply brings a sketch book, pencils, pens, buys a drink, nestles into a corner and draws. As simple as that. Throughout the night we are joined by a steady stream of artists from Brighton, including Sinna One and Guy Maberly, who comment on and help each other with their work. Even I, a relative (definite) amateur was welcomed with open arms and given words of encouragement. This was best displayed in their absolute distaste of the word “disappointment”, with Garry becoming humorously irate at the word. 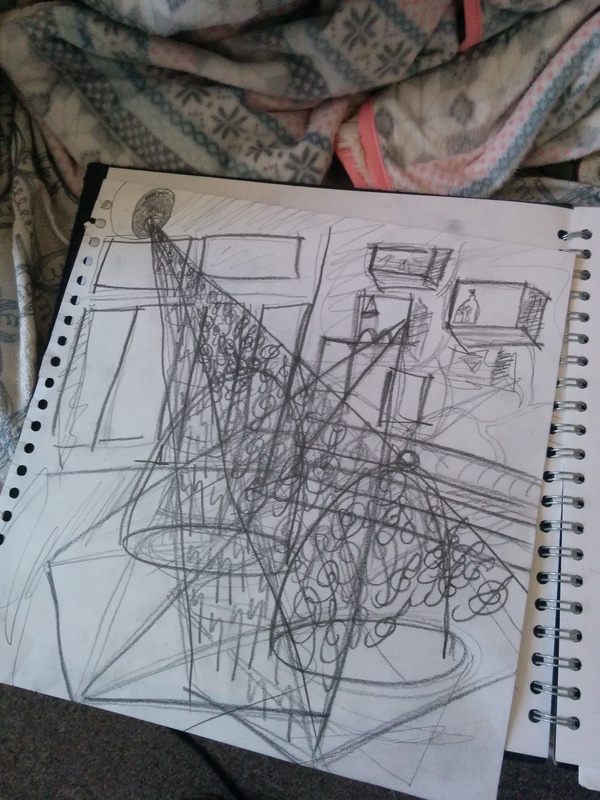 “It’s not a disappointment!” He proclaims before getting back to his own drawing – struggling at this point with a pronounced case of Birthday merriment. It really summed up my love of Brighton and the art scene in this wonderful city. The sense of community and comradery helps wean out what little confidence one has and pushes you to draw. The simplicity and lack of direction in it as well helps each person to play and develop their own style without a worry about it being “right” or “wrong”. 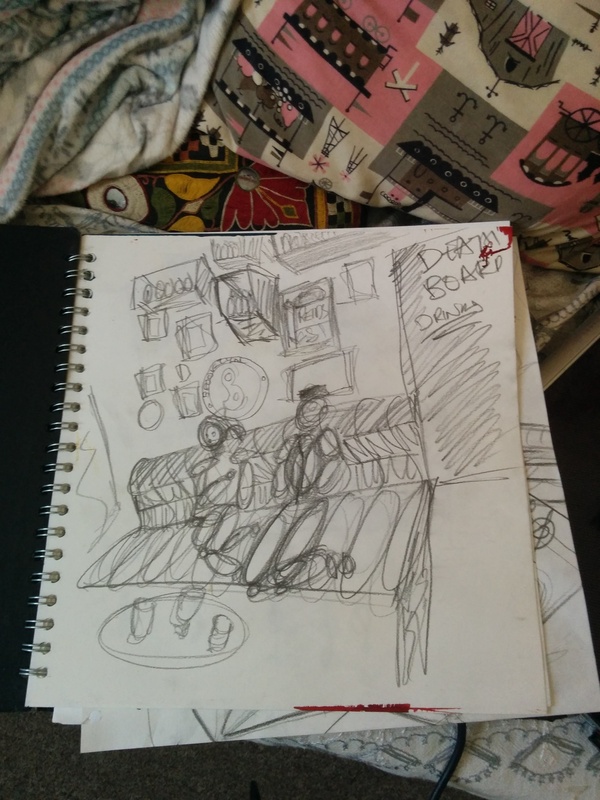 I would definitely recommend this evening for anyone looking for a place to drink and draw. 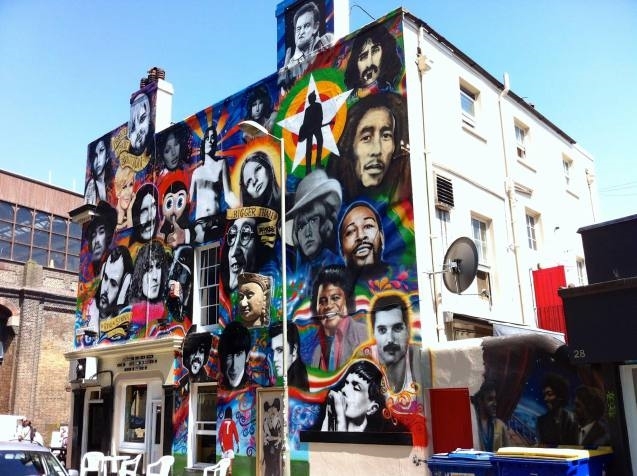 It introduces you to other artists in Brighton without any pressure on being anything apart from yourself.